This slate, allegedly dubbed Nintendo NX, is expected to launch featuring detachable controllers and an Nvidia Tegra chip. Although the tablet market is no longer showing any promises for the close future, at least some manufacturers are still trying hard to keep a relevant market. 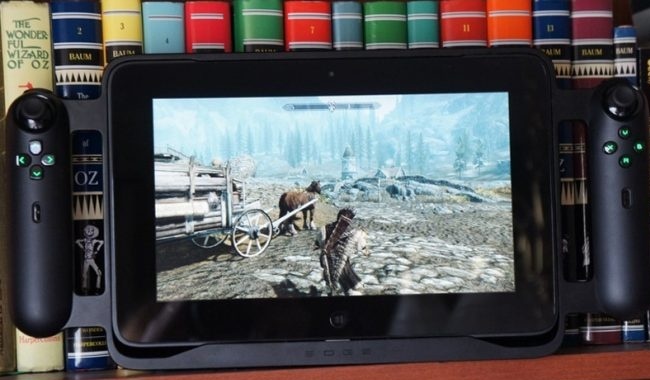 Most tablets for gamers currently available for purchase use NVIDIA Tegra chips there days, and the fact that Nintendo might be working on such a device does not come as a big surprise. Industry insiders who spoke to Eurogamer revealed quite a few interesting facts - the tablet would run on a completely new, in-house operating system by Nintendo, without any backward compatibility or support for Android apps. However, this hybrid is expected to use data cartridges similar to those widely in use more than two decades ago, but taking advantage of today's technology. More than the above, the handheld console can connect to TVs for gaming on a big screen. Its launch is apparently scheduled for this September. Unfortunately, Nintendo says the slate is scheduled for launch in March 2017 and refuses "to comment on the various rumours and speculations circulating."